Please fill out the form below to receive the Inbound Marketing Website Checklist. According to Hubspot “Inbound marketing is an approach focused on attracting customers through content and interactions that are relevant and helpful — not interruptive. With inbound marketing, potential customers find you through channels like blogs, search engines, and social media. This free website checklist will ensure you’re headed down the right path. If attracting customers is something you’re into, then the focus of your website should be integrating it with your social media, email marketing, lead generation, brand awareness and sales strategies. How? Glad you asked. We call it a checklist but it’s really a 13 page whitepaper that covers these 10 topics in detail so you not only know what to do but also how to do it. 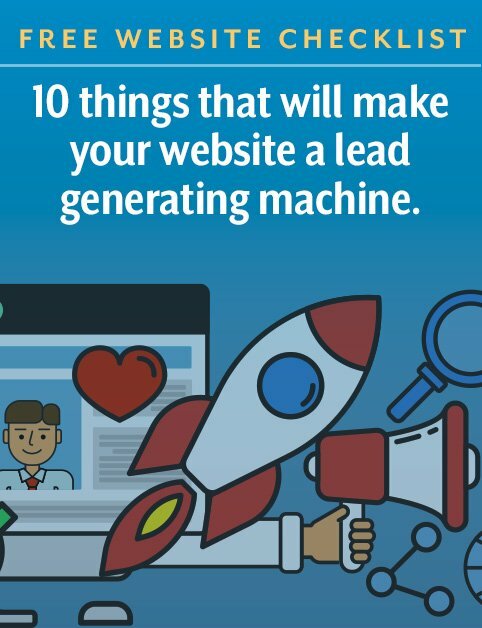 This 10 item checklist can help you on your way to making sure your website is an Inbound Marketing machine.